I'm pretty sure Olivia is a sippy cup connoisseur...and has been since she was less than a year old when we introduced a straw! We've tried many different cups and always seemed to end up with leaks, spills and messes everywhere. And then we discovered the Lollacup! A modern sippy cup that is made in the U.S. by Hanna and Mark Lim -- parents themselves who struggled to find a quality straw sippy cup for their first daughter to use with ease. So, instead of continuing their search, they invented their own! They created a straw cup with all of the features they value in a children's product -- easy to use, easy to clean, made in the USA and safe for everyone in the family. Two years after Hanna came up with the idea for her Lollacup, her and her husband appeared on Shark Tank and began a partnership with Mark Cuban and Robert Herjavec. From there, the company grew tremendously and what was once Lollacup turned into Lollaland, where Hanna and Mark offer mealtime sets, glass baby bottles, and more, in addition to their classic Lollacups! Olivia loves her Lollacups and I love how easy they are to clean! 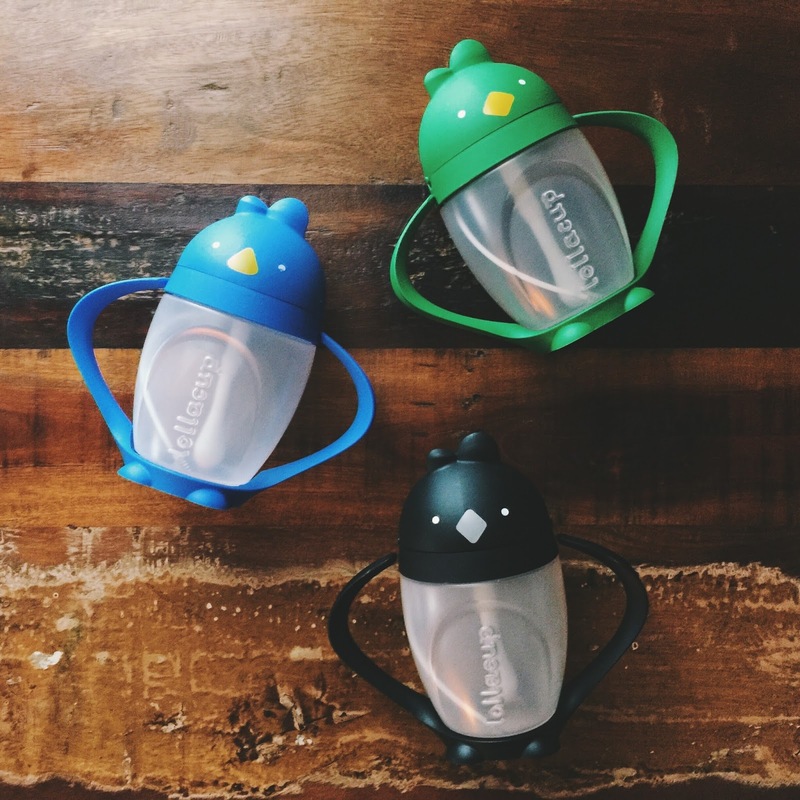 They are designed with a flexible straw that has a weighted end that anchors in the liquid to help young children drink effectively even when tilted. The straw is valve free, making it easy for them to sip. 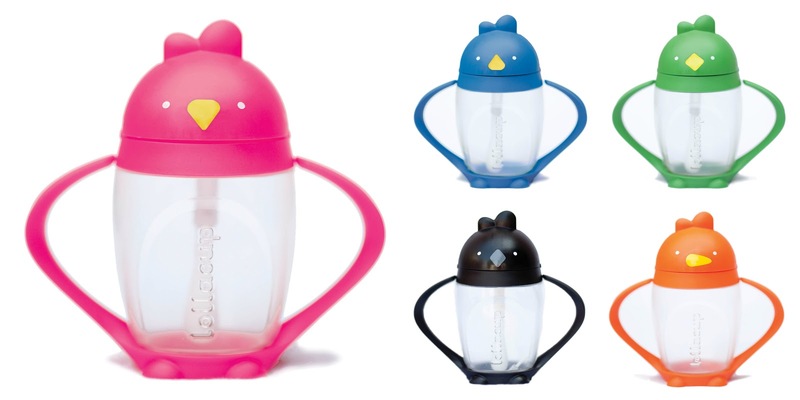 The handles are easy for even the smallest of hands to hold and can be removed in seconds, allowing the cups to fit in diaper bags, cup holders and more! 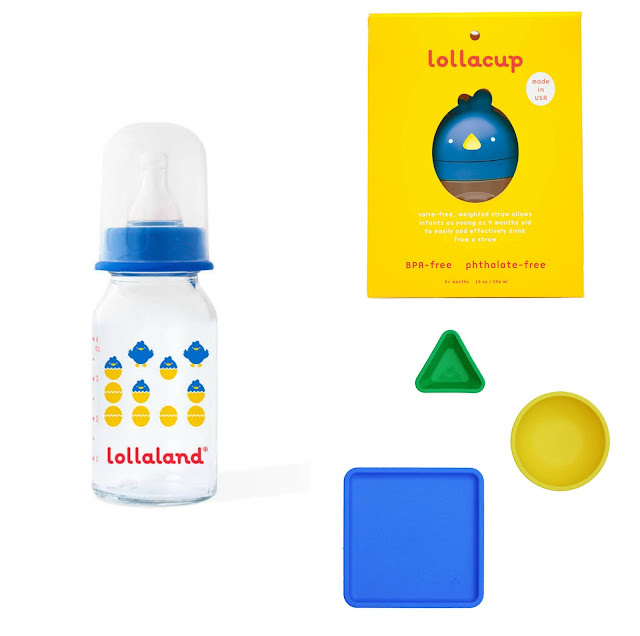 Aside from their Lollacup, they offer fun mealtime sets (which include a plate, bowl and dipping cup) in two different color ways and glass baby bottles! You can also purchase their bowls and plates individually and select from a whole rainbow of colors. I love the modern look of all of the Lollaland products and it's clear they were designed with children in mind. I think the best products are always created by parents themselves, who sought out a solution to a problem they discovered and along the way, created an innovative product. All of their products come in modern packaging and are all set for gift-giving! And to kick off the weekend, I'm so excited to be teaming up with Hanna to give away TWO Lollacups to TWO lucky winners in your choice of color! Just head over to my instagram @blessednestblog with details on how to enter! Have a wonderful weekend!